(born 29 March 1960) is a Norwegian writer, musician, and former economist and reporter. More than 3 million copies of his novels have been sold in Norway and his work has been translated into over 40 languages, selling 30 million copies worldwide. 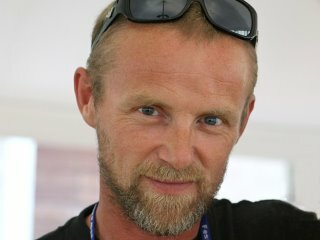 Known primarily for his crime novels featuring Inspector Harry Hole, Nesbø is also the main vocalist and songwriter for the Norwegian rock band Di Derre. In 2007 he released his first children's book, Doktor Proktors Prompepulver (Doctor Proctor's Fart Powder).